Lucky guy. Love those wheels. I’m sure you have a list of people who want them just add me on it. haha sure do i think these may be my forever wheels. probably the funniest thing i have ever heard come out of your mouth... they'll be for sale in 6 months. So the previous owner made a little error telling me that the Vossens were 20x10. They were actually 20x10.5. I should have just double checked the specs when i was at his place picking up the wheels. Unfortunately this made the wheels a little too aggressive for my liking. I didnt want to have to do any fender rolling or any modifications to make wheels fit on this car so i ultimately sold them. I ended up ordering a custom set of Rotiform Las-R's in Candy red. Specs being 20x10 et35 Big thanks to natty to getting the order through and getting the wheels to me pretty quickly. Another thanks to Urban X to always being the greatest tire shop in town. I was extremely nervous about the colour choice of the wheels all the way up until i got them on the car. Im super happy with how they look! They definitely wont be to everyones taste, but im loving them. I do plan on giving the tail lights a very light dark cherry tint to match the wheels a little better. 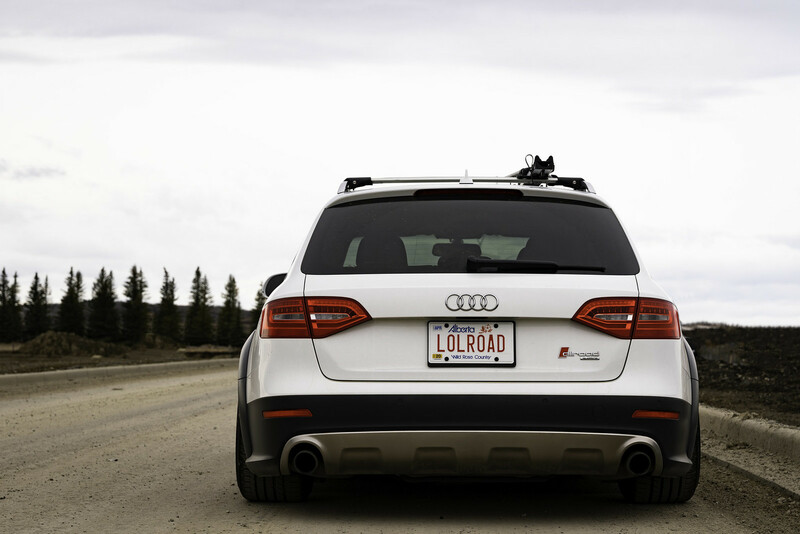 I also de badged the A4 badge off the car and added a little Red Flag to the Allroad badge on the rear. 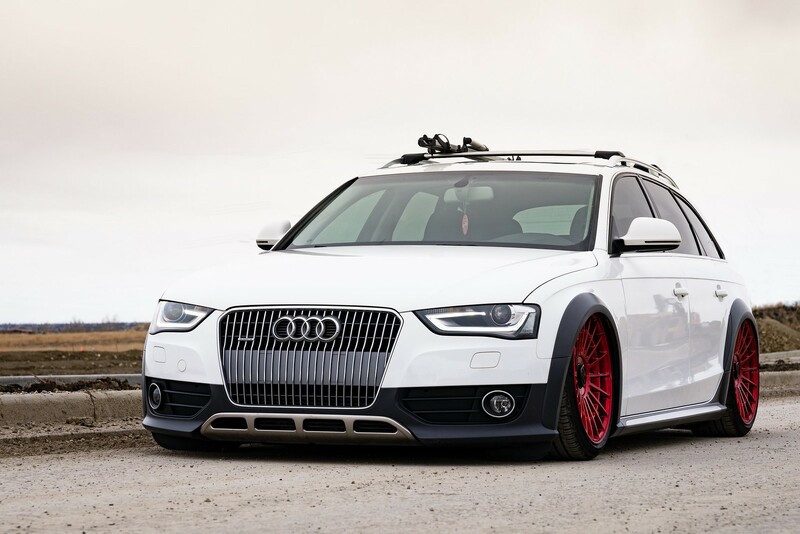 Because its definitely not just an a4 wagon with a body kit right? The only other mods im looking to do to the car is a stage 1 APR tune and the Clear corner mod to get rid of the gross orange in the headlight (you can see how much better a clear one looks in one of the photos). I may also consider wrapping the flares and having a bit of fun with some sort of livery down the road. Other than that the car is sitting exactly how i want it to. Last edited by Danaldson; 04-15-2019 at 03:43 PM.